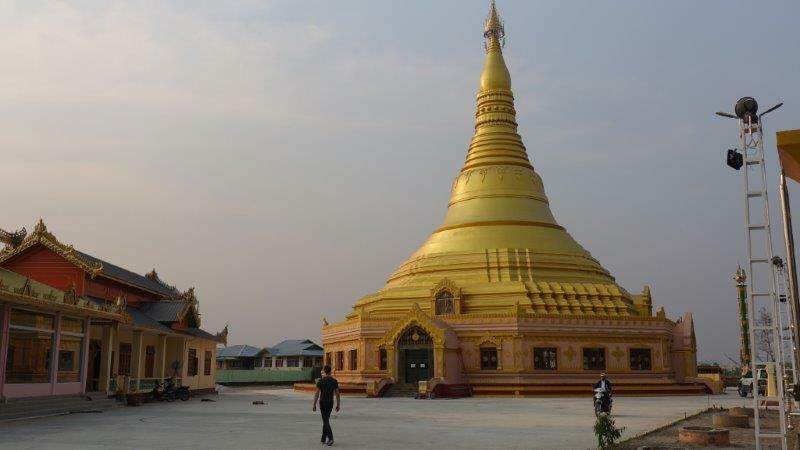 Myanmar has always been a special country within Southeast Asia that I have on my bucket list, as I have heard incredible tales and stories from people who have been there, about the stunning landscape, the pagodas and most importantly the kindness of the Myanmar people. 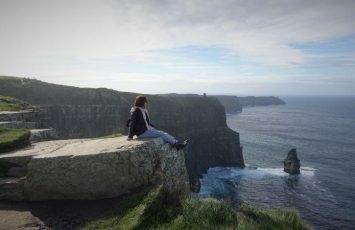 And this year, I was lucky enough to get to visit it with Cez from ETramping. 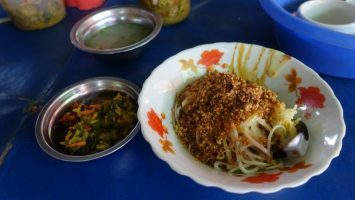 Myanmar just opened up their country to foreigners last year, and the amount of external influence/ businesses are starting to spread across the country. 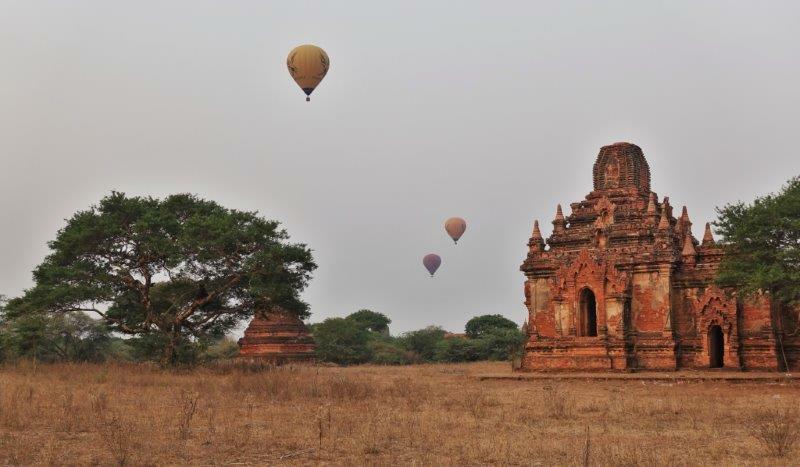 Being my 1st trip to Myanmar, I would have to cover the 2 places that I always wanted to visit – Bagan for its hot air balloons scene and Inle for the surreal lake scene many who have been raved about. 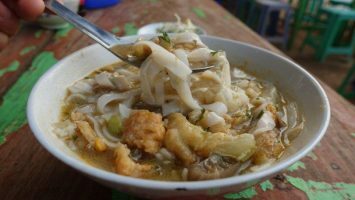 There are many ways you can get around to different parts of Myanmar – by flying with some of their local domestic carriers, or taking a bus/ train across the country. 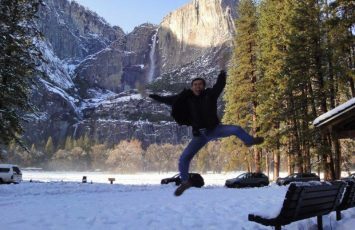 We opt for the more time saving and comfortable option of flying. 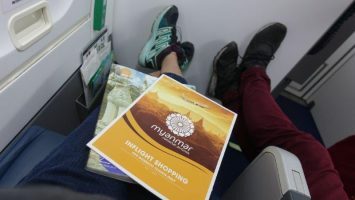 Our route – we flew into Yangon from Chiang Mai via Myanmar’s very own full freight national airlines, Myanmar National Airlines, and had a very relaxing flight, perk up before touching down at Yangon in the evening. 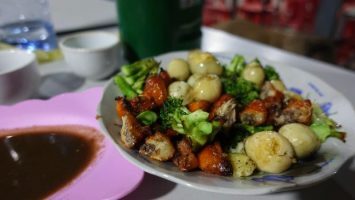 Yangon might be quite quiet in most parts of the city, but we did visit the local Hledan Market and ended with a lovely barbecue dinner at 19th street, before catching the flight the next morning into Bagan. 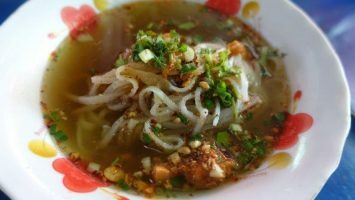 We managed to grab a little snack at the cosy Myanmar National Airlines lounge ( me drinking the local Burmese chicken noodle soup and Cez as usual headed straight for the coffee. 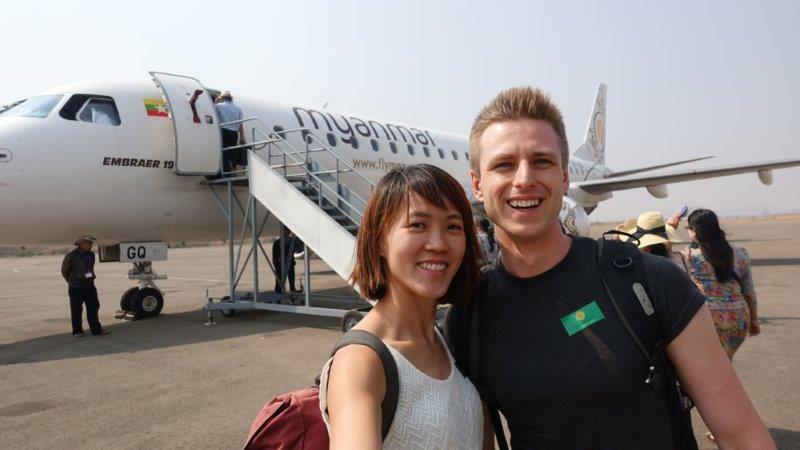 Myanmar National Airlines flies to more places in Myanmar than any other airlines, and they had daily flights from Yangon ( capital city) into Bagan or Inle. 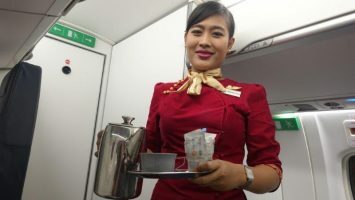 I really enjoyed the inflight service, both the food and very warm smiles of the Burmese cabin crew. 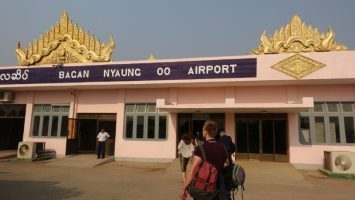 The airport to fly into for Bagan would be Nyaung Yu ( NYU) Airport. It is a small old school airport but was a really interesting experience and we were too excited and eager to explore the city. 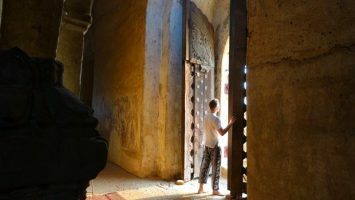 When you arrive at some of the cities, you might be required to pay a certain historical conservation tax w, and though it might seem very sudden and somewhat dodgy to do so, it is recommended you do not fight with the locals there regarding paying it. It will costs you around US$50 for 2 persons. Being a Singaporean has its many privileges, and I am glad to say that it is not required to pre-register for a visa beforehand. 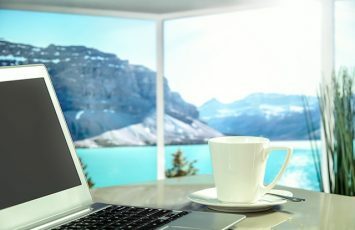 However, most other nationalities would need that and you can either apply online or a personal visit to the embassy in your respective countries. 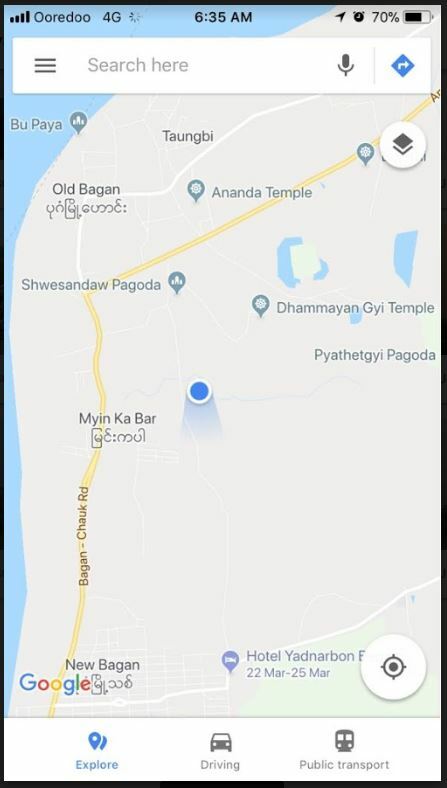 Do note that if you are not flying into Yangon straight, your type of visa might experience issues at the smaller immigration offices in the country. Taxis are relatively affordable to take to get around, just make sure to count by metre and not bargain with the staff. For us. we rented an electric scooter as it was rather affordable and the easiest way to get around. This is where having your own electric scooter helps. 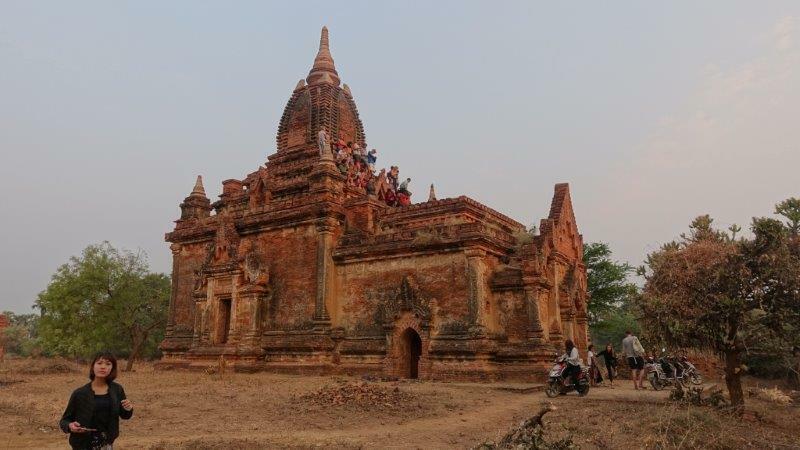 In 2017, Myanmar has banned people from climbing the pagodas and stupas in the aid to preserve them, which is incredibly sad news for tourists who really want to have a stunning aerial view of the surrounding land. This new law caught us by surprise and we are definitely very disappointed by this piece of news. But that didn’t leave us hopeless as we were determined to find a place high enough we can catch the sunrise. 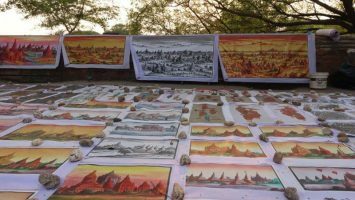 We drove around the fields of dust and pagodas and then with a bit of hope yet 99% skepticism, we were informed by a local Burmese manto follow him behind his bike towards a special spot. We didn’t really trust him initially, but when we started heading a place where the general bikers were heading, our excitement grew. Even I cannot tell you. Coz it was just one of the many hundreds of pagodas in the area. 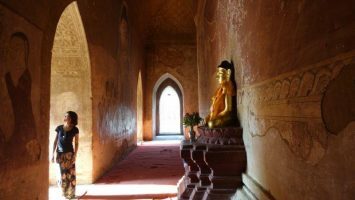 But I encourage you to ride around the main pagoda area with the below reference and try finding this incredible gem ( Notice the light movement and traffic on the road). Below are just some printscreens of where the pagodas is roughly located. Best of luck hunting it down! 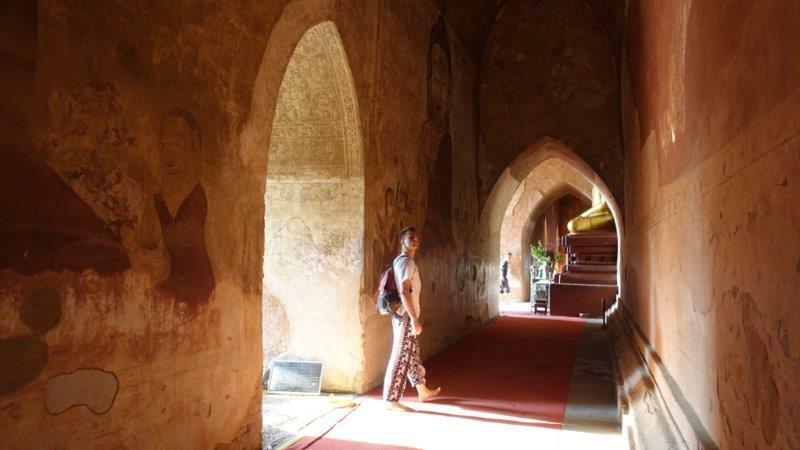 So hence concluding my post of my visit to Bagan in Myanmar. 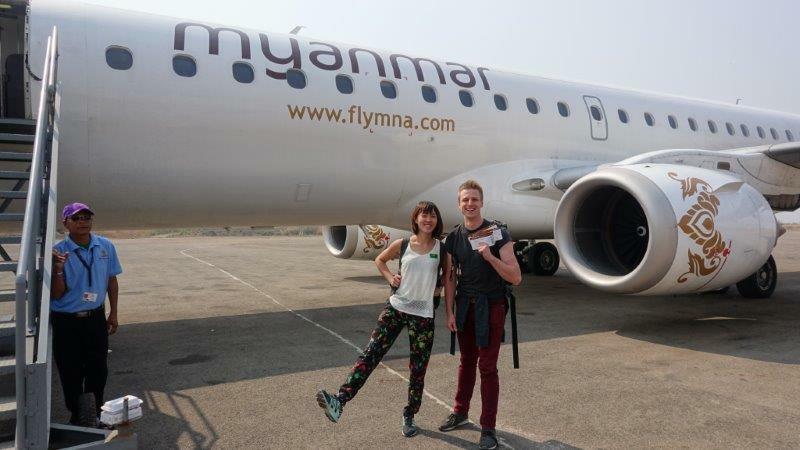 Big thanks to Myanmar National Airlines for being a part of making our experience here in Myanmar enjoyable. 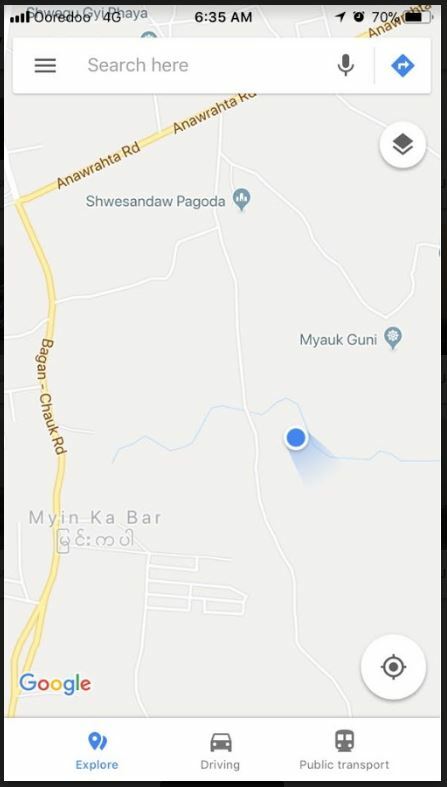 Stay tuned to updates on Inle sector, which was a truly incredible river experience. Wow, Myanmar is at the top of my bucket list. 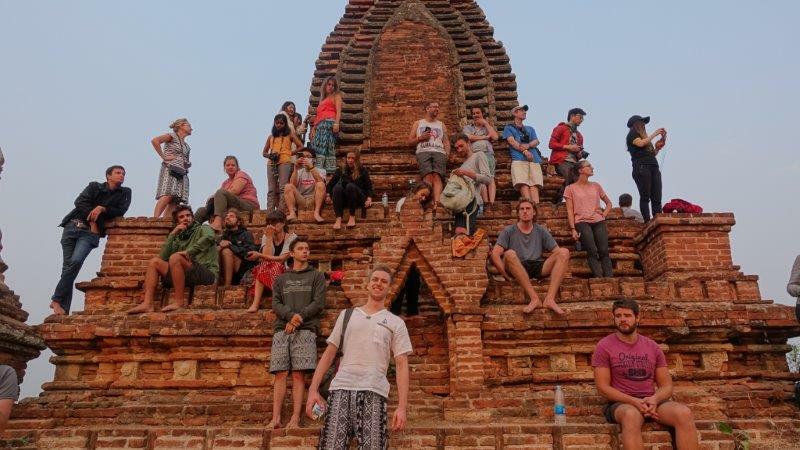 Enjoyed all your beautiful photos of Bagan! 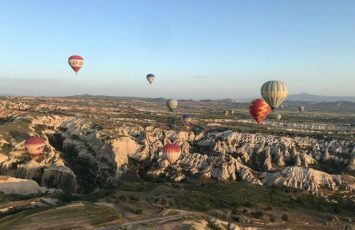 It’s encouraging to hear it’s easy to get around by air, as there are some great distances to cover between some of the sights. And the food looks amazing. 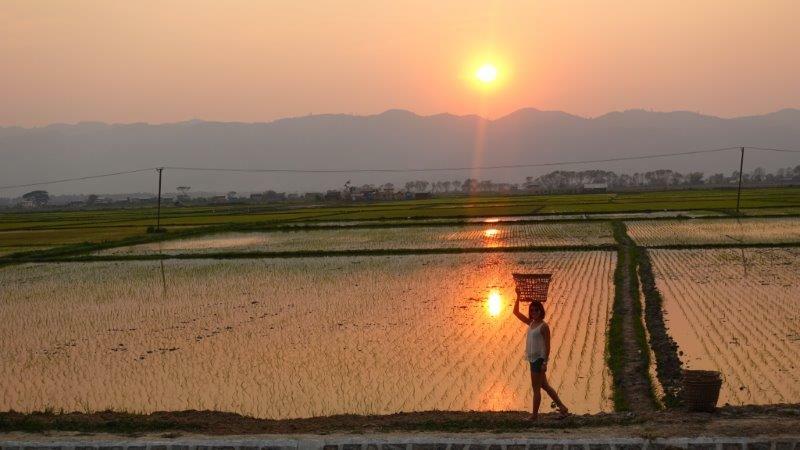 Can’t wait to read your upcoming post about Inle Lake! 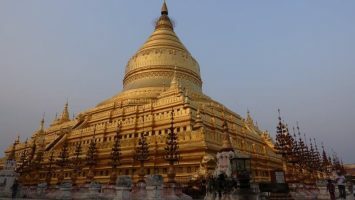 Myanmar is near the top of my Asia bucket list too. It just looks so enchanting and beautiful. These are some really great tips for when we finally make it. Glad to hear it’s quite easy to get around. Beautiful photos and I’d love to see those pagodas and views. 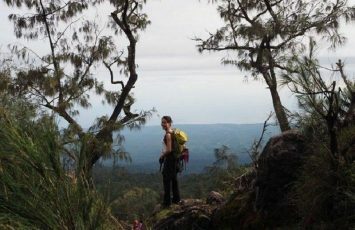 Myanmar looks like a great place to visit, I’ve heard of it – but none of my friends or family members went, so I knew little! 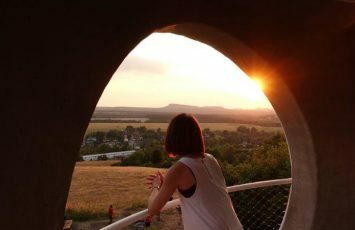 And if you say they´ve just recently opened to strangers – it must feel like such an authentic experience! 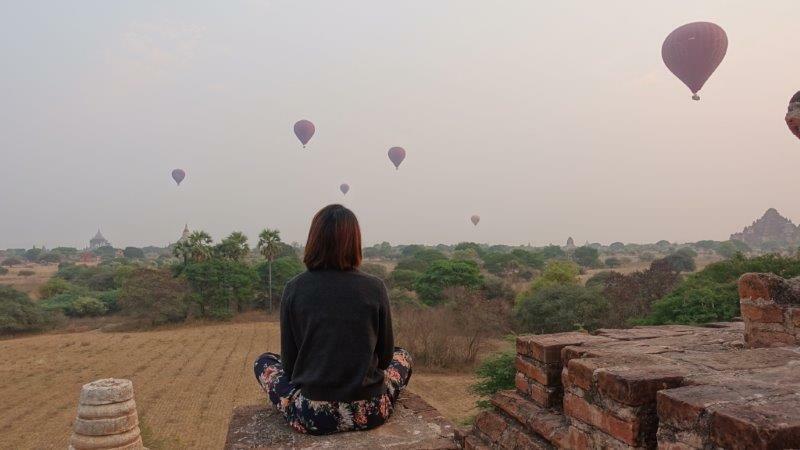 Hot air balloons over the stupas and pagodas are so stunning! What a fabulous guide to this magical place. I have long dreamed of a trip here so will remember your excellent guide for a future adventure. 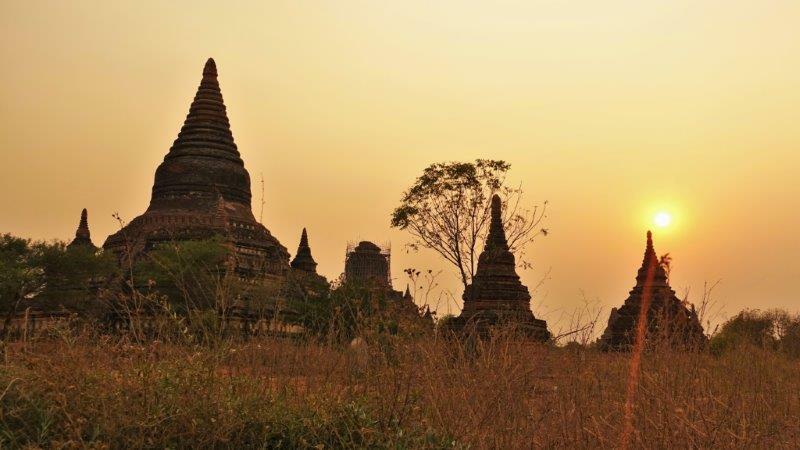 One of my best sunrise moment is actually in Bagan, even I got goosebumps cause it’s so beautiful. Agree, just go around and check any temples that looks interesting cause there are too many of them. 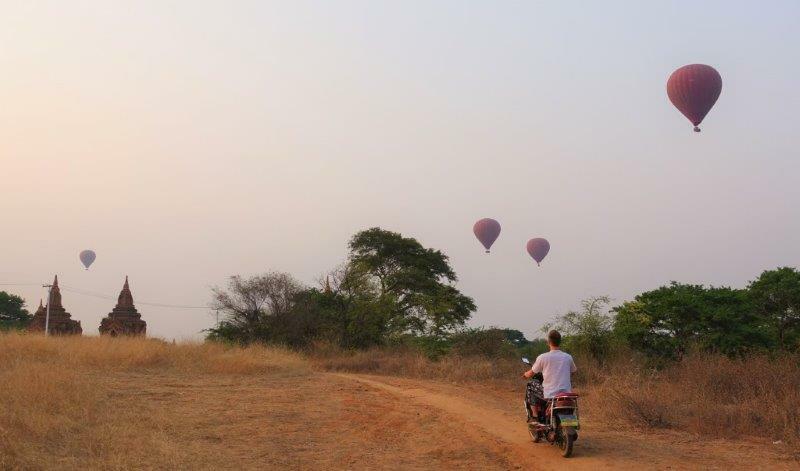 Love Myanmar!